The Left-Right task combines two well-known cognitive tasks which relate to the concept of inhibition. One task is the stroop task which is causing perceptual interference based on conflicting stimulus information, and the second paradigm is the simon-task which causes interference between stimulus and response characteristics. While both tasks are typically cited as classic examples of stimulus or task interference, the exact nature of the underlying effect are still being investigated. To compare both task types, O’Leary and Barber (1993) came up with an integrated left-right task which combines both task types while controlling procedural differences. 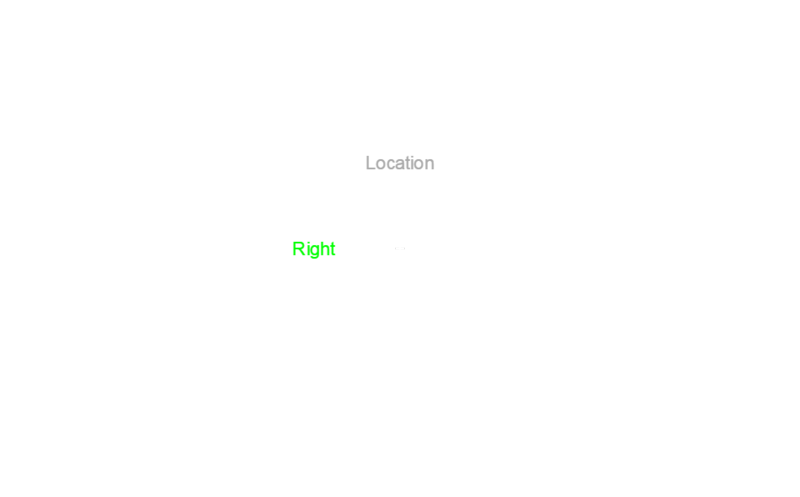 The words ‘left’ and ‘right’ are presented as stimulus on either the left or right screen location. Depending on the instruction, the task can be performed as a stroop task (respond to word identity) or as a simon task (respond to screen location). While the treatment effect of compatible vs. incompatible conditions on mean response latencies are about the same, it is interesting to compare the distribution of response latencies in more detail using the delta-plot method. This method plots the mean response latencies for each percentile from compatible vs. incompatible condition against each other. What can be shown is that the treatment effects for stroop and simon task types systematically differ and suggest different underlying inhibition mechanisms. de Jong, R., Liang, C.-C., & Lauber, E. (1994). Conditional and unconditional automaticity: A dual process model of effects of spatial stimulus-response correspondence. Journal of Experimental Psychology: Human Perception and Performance, 20, 731-750. Perception & Performance, 19, 830-844. Pratte MS, Rouder JN, Morey RD, Feng C. Exploring the differences in distributional properties between Stroop and Simon effects using delta plots. Atten Percept Psychophys. 2010;72(7):2013-25. Ridderinkhof, K. Richard; van den Wildenberg, Wery P. M.; Wijnen, Jasper; Burle, Borís (2004). Response Inhibition in Conflict Tasks Is Revealed in Delta Plots. Posner, Michael I. (Ed), Cognitive neuroscience of attention., (pp. 369-377). New York, NY, US: Guilford Press, xiii, 466 pp.